We had a wonderful visit with Mike and Sara last week in Wisconsin. We waited until April to go so the weather would have time to warm up. And it did – but it was still a change for Lynn and I. We’re used to Florida’s climate. On one day, we drove up into Door County and had a good time tasting local wines. The area’s scenic, although not quite thawed out yet. It was just above freezing with a strong wind – nice and brisk! This photo is from Fish Creek Harbor. By way of contrast, yesterday in Florida looked like this. When I made the photo, it was in the mid-70s and on the way up to 90 degrees F.
We did find patches of color while we were in Wisconsin. Here’s one scene we all enjoyed on another morning. So that’s our version of personal climate change over the last week. It was chilly in Wisconsin, but we got a very warm welcome. And if you clicked on this hoping for a debate about global warming, sorry. Maybe another day. Thanks for stopping by and reading my blog. Now – go spend time with your family – and make some photos! A good variety of images Ed. I enjoy your images from the different places you travel. Thank you, Jim. Wisconsin was a family trip, not a photo trip, so I didn’t spend a lot of time looking for photo ops. It was interesting how different it looks from Florida. Actually put off reading this blog in case it was going to be too controversial! So loved the cocktail pints! What on earth were they?! Sorry the title put you off. I guess I was trying to be too clever. Those are Wisconsin Bloody Marys, recommended by my son Mike. They come with a small beer on the side and the garnish includes local sausage, pickles, and cheese curds. Quite an experience. 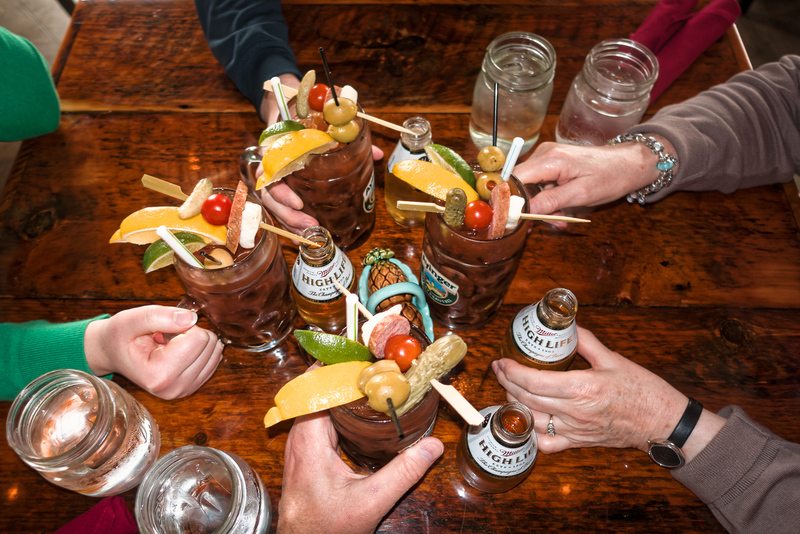 Well one always learns from your blogs, and this time it’s the secret to an authentic Wisconsin Bloody Mary – a truly mind-boggling brew!